With more than a dozen years in the industry, 4 Season Outdoors ATX is a local leader in the outdoor space design category. We create unique outdoor kitchen designs to include a custom welded sub-frame base which houses outdoor cooking appliances. With a generous offering of siding and counter top choices, we’re sure to include styles for the most discriminating taste. 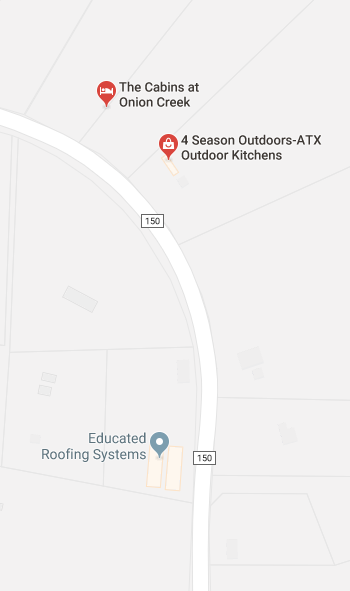 4SO-ATX also puts focus on the culinary consideration of an outdoor kitchen. Although a great design is crucial; we also recognize functionality to be an important feature. When designing your outdoor space, we listen to what you want, how you cook, what you cook, how many you cook for, and many of the little details that guide us in designing the blueprint perfectly suited for you. We are dealers for a wide variety of outdoor kitchen appliances along with a vast selection of styles and finishes. A well-planned deck design is a wise investment when considering improving your outdoor living space. 4 Season Outdoors ATX provides high quality custom designed decks and pergolas. Our custom deck design team not only designs and builds beautiful outdoor entertaining spaces, we also offer custom shade coverings. 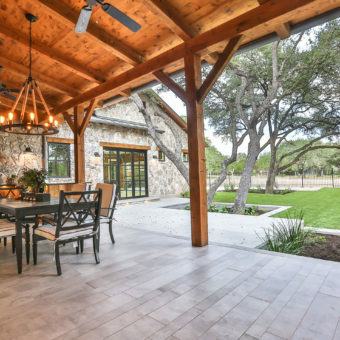 When the Texas summer sun beats down, a custom pergola can provide the right amount of shade your family and guests require to enjoy a hot summer’s day on your custom deck. A pergola is a shade covering with cross rafters and no walls. Pergolas provide protection from the sun while offering air flow. Adding a pergola maximizes your usable outdoor space by adding an area for outdoor furniture that is somewhat protected from the elements. You may choose to include weatherproof sheeting on top of your pergola to completely shield from the elements that may be falling directly above your pergola. Our meticulous attention to detail and high-quality building materials, allow us to provide one satisfied customer after another! Our materials include the most advanced treatments and water repellents to withstand the forces of nature and ensure many years of enjoyment in your outdoor living space. 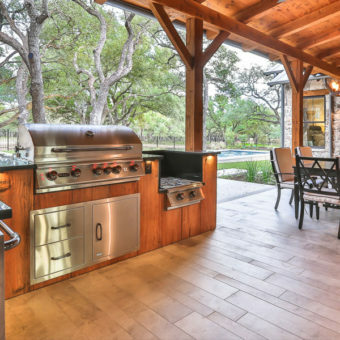 If you have recently visited our showroom in Driftwood, you may have noticed that we’re building an expansive deck to include multiple kitchen vignettes where we will host cooking, grilling, & food smoking classes. These sessions are not only designed to be fun, but will educate participants on how to fully utilize their outdoor appliances. Our new deck addition will feature a diverse assortment of woods and wood products to choose from. Situated outdoors in the elements – one can truly witness the durability of the materials we use.